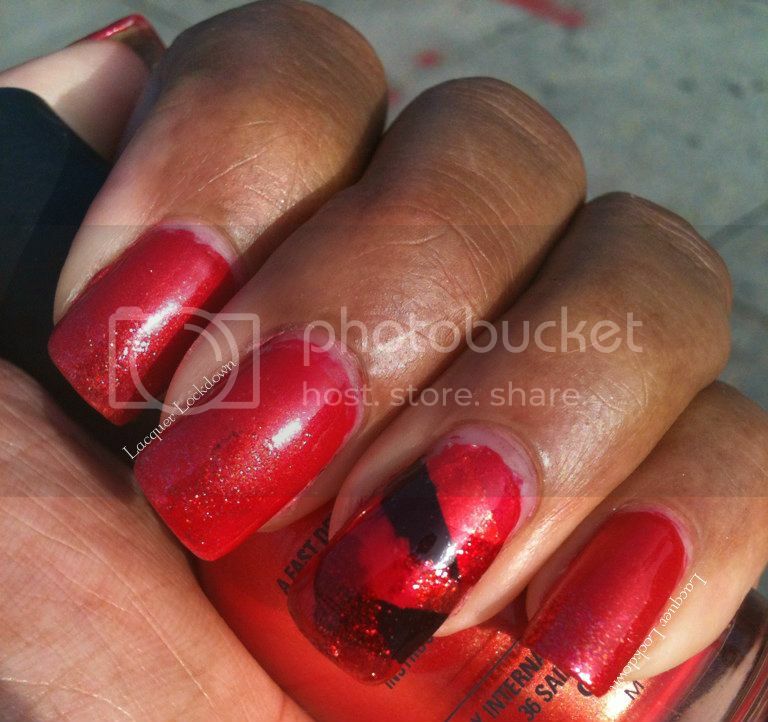 Lacquer Lockdown: Off With Her Red - On Sundays I Stamp! "The true color of life is the color of the body, the color of the covered red, the implicit and not explicit red of the living heart and the pulses. It is the modest color of the unpublished blood." In the shade everything looks wet. 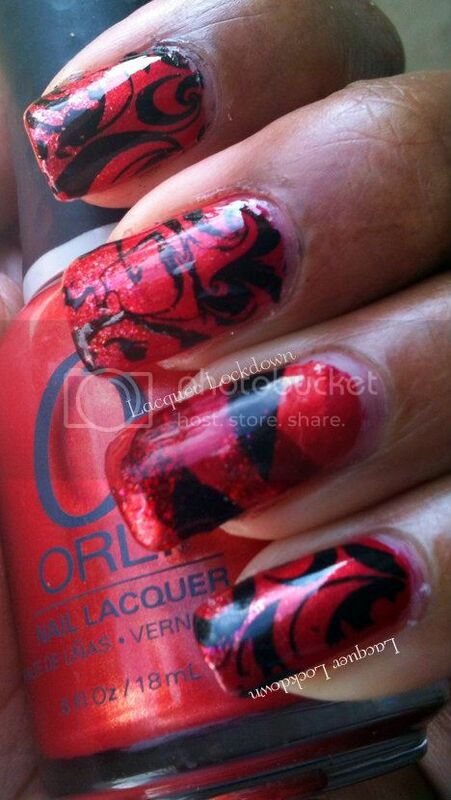 How do you ladies feel about red? Is this a color that you feel is very essential to your polish stash or more of just a once in a while kind of thing? Gradient before stamping was super subtle. 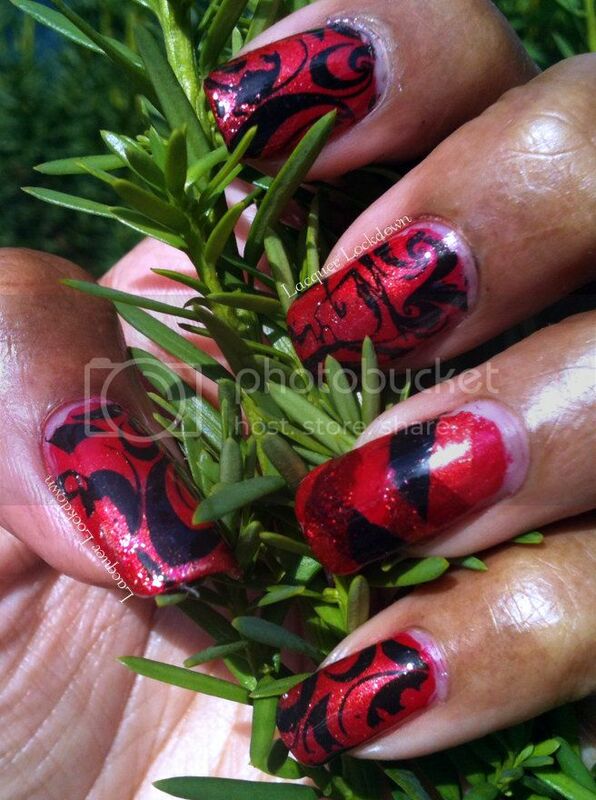 I'm not sure it would be very effective without nail art on top. Reds all around. I ended up loving the stamp here quite a bit! Thank you! 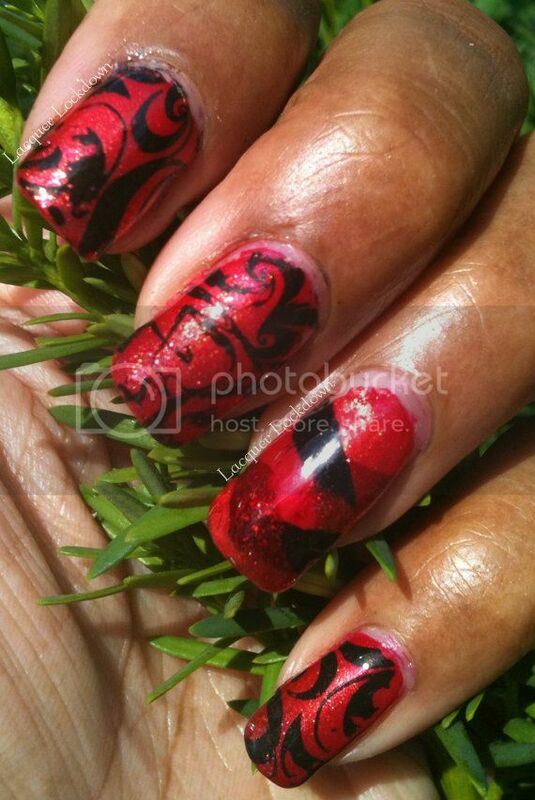 That's a big compliment coming from someone as accomplished at nail art as you!